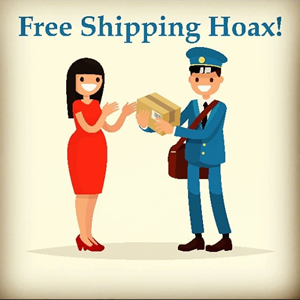 Free Shipping is a Hoax! It's not really free. Here's why. Yes, "free shipping" is a great enticement for people to buy, and that's why companies offer it. But are consumers actually being tricked into thinking that they're getting something for nothing? Is "free shipping" actually nothing more than a promotional or advertising cost for any company that offers it? Since companies that offer "free shipping" must actually be including shipping in the price of the product, people who purchase more than one item are paying too much for shipping since the per-item shipping cost would normally be less for larger orders. In other words, customers that order more than one item are being penalized and may actually be subsidizing the customers that order only one item. For most products on the marketplace, the margins are large, so the "free shipping" is easily absorbed as a promotional cost (which is what it really is). However, here at Vintage Tradition, we use the absolute highest quality ingredients and production methods and strive to keep the prices low for you. Therefore, our margins are relatively small. We don't want our product to appear more expensive than what we're actually charging for it, and we don't want to penalize people who order more, which is why we don't hide any of the shipping cost in the price of the products on our website. And we don't pad the shipping cost. Our rates are live quotes from the Postal Service and UPS. All of the above explains why we don't offer "free shipping". However, you can substantially decrease the per-jar shipping cost by adding more items to your order. You can also save money by taking advantage of our quantity discounts. Order your authentically priced Tallow Balm products here!